Iran intends to design and build a remote sensing satellite jointly with Asia-Pacific Space Cooperation Organization (APSCO) member states. "Iranian scientists have always taken part in APSCO meetings," the Head of Iranian Space Agency (ISA) Hamid Fazeli told ISNA adding that, "designing and building a remote-sensing satellite is one of the fields for cooperation." "We plan to gain a larger share in building the satellite," he continued, "the country's share is to be set based on Gross Domestic Product (GDP), but Iran is struggling to gain a larger share." Iran also sent the first life-capsule into orbit mid March. The launch aimed at testing the function of programming systems and subsystems. Kavoshgar 4, carrying the capsule, and three other satellites were unveiled by Iranian President Mahmoud Ahmadinejad in February. 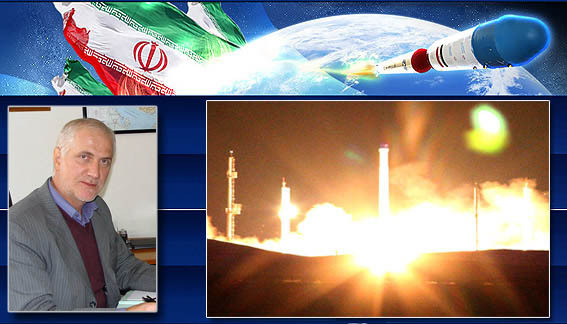 The Islamic Republic launched its first domestically-built satellite, Omid (hope), into orbit in 2009. The Omid data-processing satellite was designed to circle the Earth 15 times every 24 hours and to transmit data via two frequency bands and eight antennas to an Iranian space station. Iran is one of the 24 founding members of the United Nations' Committee on the Peaceful Uses of Outer Space, which was set up in 1959.